Our Caring Community – we are there when YOU NEED US! Our mission is to enhance and nurture the spirit of community within our growing congregation by addressing the emotional and/or special needs of all our congregants throughout their individual life cycle events. 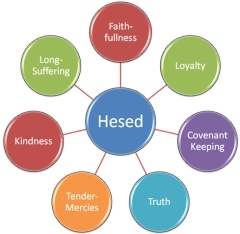 Every member is a Hesed Haver and may be called upon to help celebrate, support and/or comfort others in need within our congregation. At Temple Israel, you are never alone to face life’s challenges. We continue to care for our community of Temple members. Please do not hesitate to contact either Barbara Tepper or Pamela Rogozin if you need assistance in getting to a doctor appointment. We will contact you if you have a death in your family to help with shiva arrangements. Temple Israel Reform Congregation is an extended family who reaches out to their community with loving kindness. Congregants are there for each other reaching out to those who need words of kindness, strength, encouragement, and healing. Help is also provided by arranging transportation, grocery shopping, cooking meals, providing companionship, emotional support and being there in times of need. A young mother of two small children is undergoing surgery. Her recovery time is estimated at 3 weeks. An email goes out to the Temple Israel Caring Community with a schedule for meals to be prepared for the family for the three weeks after surgery. Within 2 days, the schedule is full and a grateful Mom emails the community her sense of gratitude and appreciation. My daughter’s Bat Mitzvah was scheduled for Saturday, September 15, 2001. I was working in the World Trade Center on that fateful day, September 11, 2001. I couldn’t make it back to Staten Island until the following day. When I arrived home it was comforting to find that the tape to my answering maching was full of messages from my concerned fellow congregants. I had to make the final preparations for my daughter’s Bat Mitzvah and was upet that my family, who lives out of town would not make the service since the airports were closed. The day of the service my fellow congregants showed up wearing name tags as my family – mother, sister, cousin, etc. I really felt like I had a family in this difficult and sad but joyous time. We had to postpone the reception so I went to the supermarket to have them cater lunch (thanks to a congregant who worked there I got a great discount). Temple Israel members also bought food, sodas, flowers, and the Social Action Commitee picked up my order and bought us a fruit platter, decorated and set everything up. I can’t thank my Temple Israel family enough. As one of the Past Presidents is fond of saying it brought our Temple family together and all who were there will always remember my daughter’s bat Mitzvah as a joyous and loving time in the midst of one of the greatest tragedies to ever hit New York City. I am truly grateful for your calls and visits and your generous donations during the shiva period for my mother. You are aware that my mother was with me for a long time and that she was a very special woman. She will be missed. It is comforting for me to know that I have a family at Temple Israel and strong brothers to count on when I am in need. One of our congregants undergoes ankle surgery and is unable to drive, cook and do house chores. An email goes out with a schedule for preparing meals, driving our congregant to doctor appointments, etc. Within days, our congregant has all the help she needs until she fully recouperates from her surgery. A Mom is undergoing testing in preparation for her surgery. Her children needed to be picked up from school. Temple Israel’s Caring Community steps in and arranges for the children to be picked up from their school and safely taken to their home. A CARING, LOVING COMMUNITY…THIS IS TEMPLE ISRAEL.